Eclipse Preview at Belmont University in Nashville, Tenn. August 2, 2017. 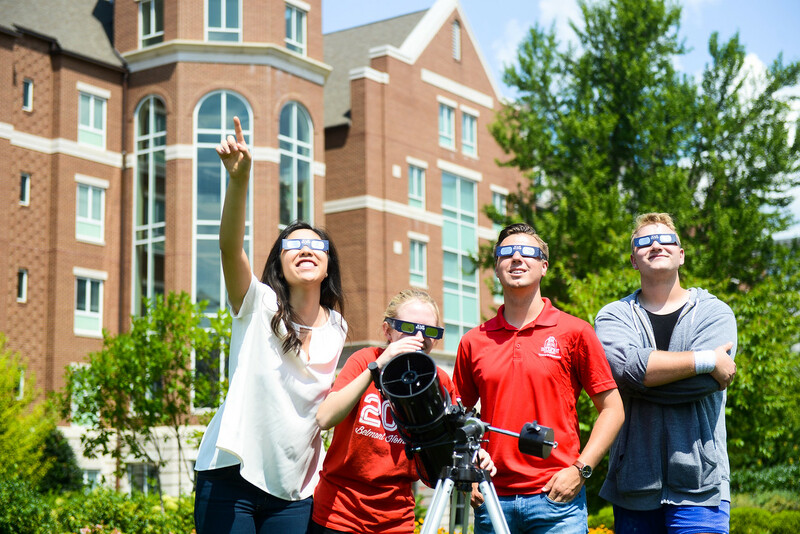 Belmont Professor of Biblical Studies Dr. Mark McEntire, Assistant Professor of Art Christine Rogers and College of Science and Mathematics Dean Dr. Thom Spence were recently featured in local media to discuss the upcoming solar eclipse. McEntire explained to WSMV that eclipses were historically viewed as “omens or signs,” signifying the coming of a tragedy or doomsday. Watch the full story here. Rogers, a professor of photography, asserted that filtering the lens of your camera is just as important as protecting your eyes form the sun’s light. Find her advice on taking the perfect eclipse photo here. In the Tennessean, Dr. Spence published an editorial about the history of solar eclipses and what witnesses can expect next Monday. Read his piece here. A total solar eclipse will occur in Nashville on Aug. 21, beginning at 1:27 p.m., and it will be the first total solar eclipse visible in the area since 1442.